I’m sure you’ve heard the saying, “Don’t mistake my kindness for weakness” or “don’t take my kindness for weakness,” and it led me to another saying, a quote that I wrote. Before I share the quote, let me explain how it came about. 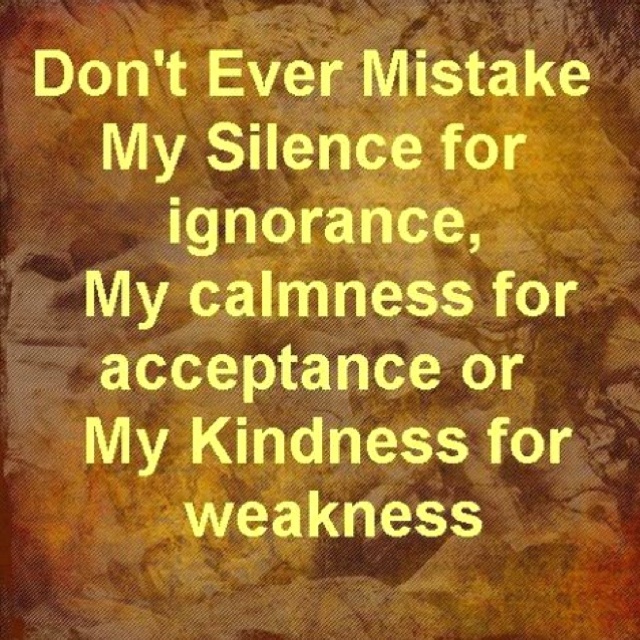 While thinking about “Don’t mistake my kindness for weakness,” I began thinking about how we interpret other’s actions or how we discount their feelings. Some people are kind to a fault. I imagine it leads someone to think they can get over on, manipulate, or take advantage of that person. The person finally gets fed up with realizing they’re being mistreated and say, “don’t mistake my kindness for weakness.” In other words, “My being kind to you isn’t me being weak minded.” “My being kind to you isn’t my inability to see that you’re trying to take advantage of me.” Usually when a person says that quote, they’re at the point of ceasing to be kind, to show that they aren’t weak – they’re strong enough to stop allowing you to misuse them. I began thinking of ways that I’ve been misunderstood. I remember when I was in Job Corps and witnessed many outsiders, people not from New York, be mistreated by New Yorkers. 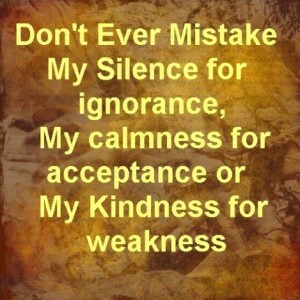 I was never picked on, never argued with, never given rude looks. I asked someone one day what made me different, especially since I wasn’t from the City or one of the five boroughs. The person I was talking to was surprised that I was from South Jersey. She said that I looked mean and that’s why no one picked on me. I asked around and found that she wasn’t the only one who said I looked like that. I enlisted in the Army National Guard shortly after returning home from Job Corps. I was told there that my face held no expression, which made me hard to read. As a soldier we were supposed to be “Army Strong” and not show what we were feeling, though I believe I mastered that ‘straight face’ long before my military training days. I remember telling someone that “I’m not mean, it’s just how my face looks when I don’t smile.” My mood can be indifferent or even thoughtful and someone would say, “Smile, why do you look angry?” when I’m not angry. 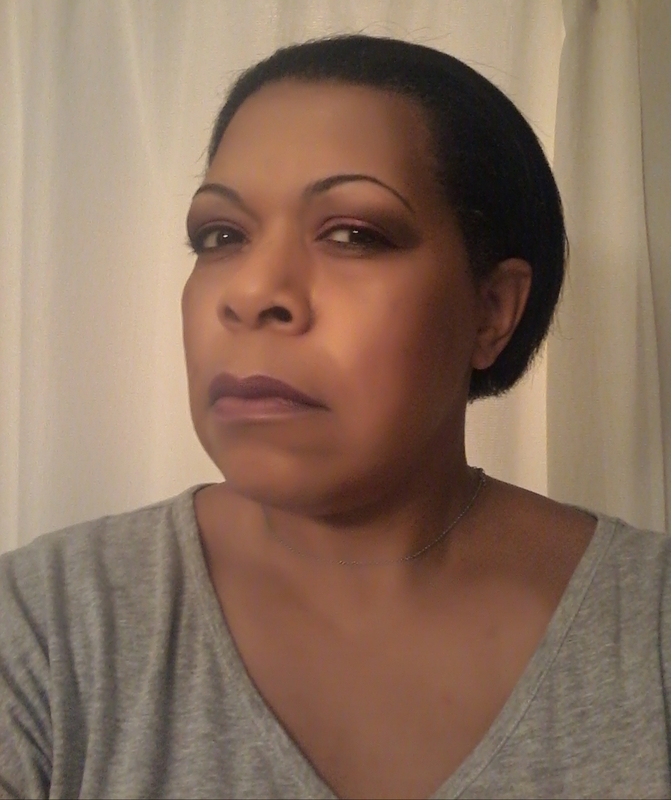 So, in thinking about the quote “Don’t mistake my kindness for weakness,” I thought of this quote – “Don’t mistake my seriousness for meanness.” My ‘straight face’ is one of neutrality and people mistake that for what it’s not. I’m serious when meeting new people because I’m trying to learn how they are, what their personality is like, what their characteristics are. I don’t often joke around with people I don’t know well as I don’t want to offend anyone. Once I get to know someone, they tell me how funny I am, how silly I am, how sociable I am – the opposite things of mean. So, if you see someone who looks mean, realize that you may be misinterpreting their facial expression and they may only be serious. I’m sure you don’t want to or like to be misunderstood, so let me encourage you to not readily judge another’s expressions especially when you don’t really know them. I’d love to read any stories you have about being misunderstood or you misunderstanding someone else. I know you have at least one :-). Subscribe for automatic notification of new posts and share this article and website with others. Thanks!